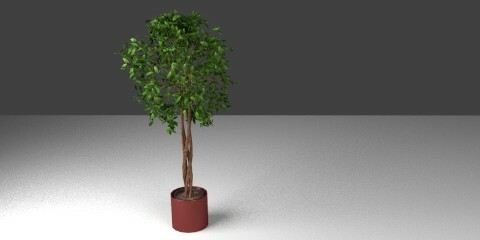 Ficus with uvmap for the leaves. Image rendered with cycles. The model has been created with the collaboration of Emmanuel Puybaret from eTeks (Sweethome3d) and you can download it below.